Modern display and solar cell technologies are built with a material called Indium Tin Oxide (ITO). ITO has excellent optical transparency and electrical conductivity, and the material properties needed for integration in large-scale manufacturing. However, we’re not content with just merely “good enough” nowadays, and need better materials to build ever better devices. Graphene and carbon nanotubes have been considered as suitable replacements, but new research has identified a different possibility: nanowires. Researchers from the Indian Association for the Cultivation of Science (IACS) and the Centre for Research on Adaptive Nanostructures and Nanodevices (CRANN) in Ireland have demonstrated a seamless silicon nanowire junction that can be used for photodetector and display technology. These material properties allow the functionality of a junction, but it still needs to be easily and repeatably manufactured. To solve this problem, the team put the nanowire transistors on a flexible polymer, which should enable flexible nanowire applications, such as a roll-up screen. The first step towards a display is a simple photodetector, just consisting of a basic P-N junction, but they hope this technology will eventually be useful in “smart windows” due to the junctions’ applicability to photodetectors and cameras. Moving to emitting light for displays or creating a solar cell using this technology will probably take some time. Do you have any experience with different materials for creating junctions? 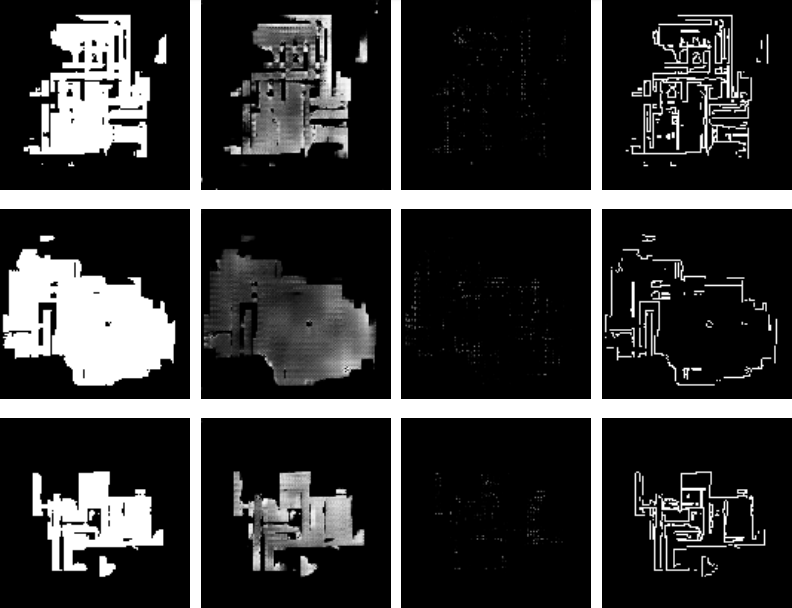 What would you do with a small, transparent photodetector? We’ve featured homebrew solar cells before, as well as creating DIY semiconductors. We’ve also seen silver nanowires for wearable circuits. Making a weather display is great because it’s a simple project that shows off some skills and has an obvious daily use. So [ACROBOTIC Industries] decided to make an easy kit for the Hackaday Prize to make weather displays even more accessible. Calling it the ESPecter, [ACROBOTIC Industries] wanted to make this a simple project for anyone, regardless of skill with a soldering iron or Arduino toolkit. So they decided to base the guts on common components that can be put together easily, specifically a Wemos Mini D1 with an OLED shield as a bright display. They also designed a cool tiltable 3D-printed enclosure for this small device so that you can orient it to your eye level. While they already have a breadboarded prototype, and a 3D printed case, some software work remains to make the project really shine. They plan to add nice features like a web interface to configure location and network information, alerts, additional locations, and historical weather data. They also want to create a weather library to display well on a low-resolution screen and add battery operation. We look forward to seeing the final version later in the Hackaday Prize! This isn’t the first weather project we’ve seen around here. 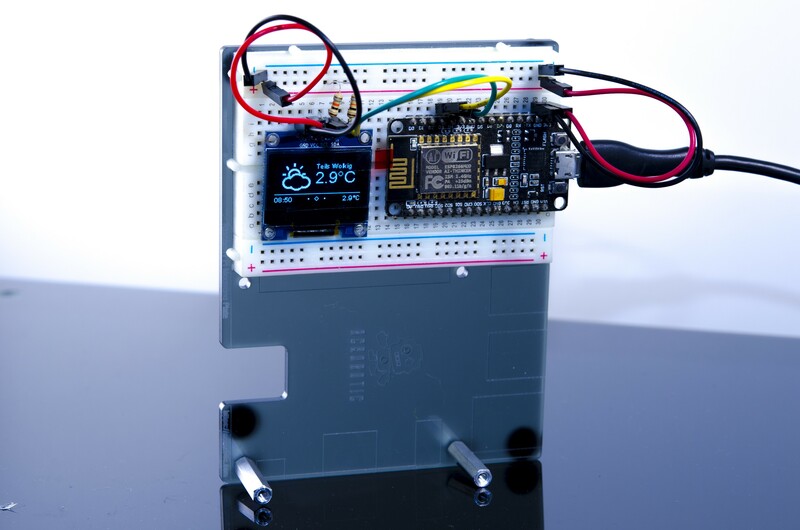 Other variants include mirror weather displays, an ESP8266-based weather monitoring station, a very low-power weather station, and this roundup of weather displays which might give you some inspiration. Last year, Google released an artificial intelligence kit aimed at makers, with two different flavors: Vision to recognize people and objections, and Voice to create a smart speaker. Now, Google is back with a new version to make it even easier to get started. The main difference in this year’s (v1.1) kits is that they include some basic hardware, such as a Raspberry Pi and an SD card. While this might not be very useful to most Hackaday readers, who probably have a spare Pi (or 5) lying around, this is invaluable for novice makers or the educational market. These audiences now have access to an all-in-one solution to build projects and learn more about artificial intelligence. We’ve previously seen toys, phones, and intercoms get upgrades with an AIY kit, but would love to see more! [Mike Rigsby] has used one in his robot dog project to detect when people are smiling. These updated kits are available at Target (Voice, Vision). If the kit is too expensive, our own [Inderpreet Singh] can show you how to build your own. Frustrated by the glut of unsecured IoT devices? So are Microsoft. And they’re using custom Linux and hardware to do something about it. Microsoft have announced a new ecosystem for secure IoT devices called “Azure Sphere.” This system is threefold: Hardware, Software, and Cloud. The hardware component is a Microsoft-certified microcontroller which contains Microsoft Pluton, a hardware security subsystem. The first Microsoft-certified Azure Sphere chip will be the MediaTek MT3620, launching this year. The software layer is a custom Linux-based Operating System (OS) that is more capable than the average Real-Time OS (RTOS) common to low-powered IoT devices. Yes, that’s right. Microsoft is shipping a product with Linux built-in by default (as opposed to Windows Subsystem for Linux). Finally, the cloud layer is billed as a “turnkey” solution, which makes cloud-based functions such as updating, failure reporting, and authentication simpler. Low-voltage DC power electronics are an exciting field right now. Easy access to 18650 battery cells and an abundance of used Li-Ion cells from laptops, phones, etc. has opened the door for hackers building their own battery packs from these cheap cells. A big issue has been the actual construction of a pack that can handle your individual power needs. 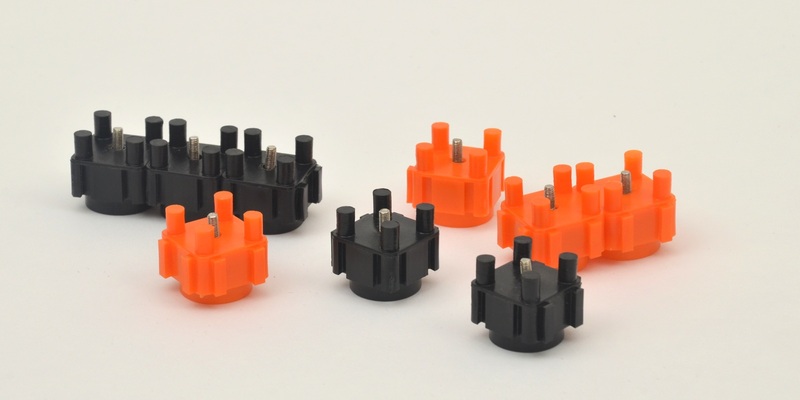 If you’re just assembling a pack to drive a small LED, you can probably get by with spring contacts. When you need to power an e-bike or other high power application, you need a different solution. A spot welder that costs $1000 is probably the best tool, but out of most hackers’ budget. A better solution is needed.